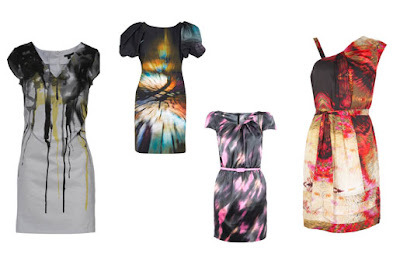 Digital print dresses are all the rage this season. From multi-colored to the more understated monochromatic feel, there is something for everyone this year. These explosions of color call for minimal accessories. The dress speaks for itself. The best part of owning one of these beauties is that they are the perfect transitional piece! Wear them with some opened toed booties in the spring. When fall rolls around simply pair with some opaque tights and a blazer.